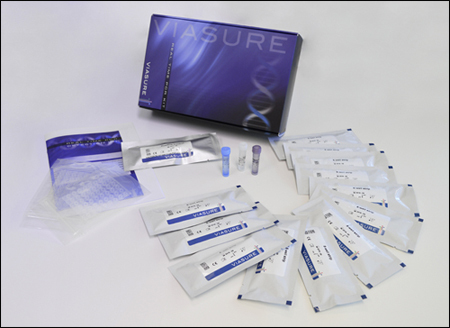 VIASURE Aeromonas + Yersinia enterocolitica Real Time PCR Detection Kit is designed for specific detection and differentiation of Aeromonas and/or Yersinia enterocolitica in human stool samples from patients with signs and symptoms of gastrointestinal infection. This test is intended for use as an aid in the diagnosis of the Aeromonas and/or Yersinia enterocolitica in combination with clinical and epidemiological risk factors. DNA is extracted from stool specimens, multiplied using Real Time amplification and detected using specific primers and a fluorescent reporter dye probe for Aeromonas and/or Yersinia enterocolitica. Aeromonas and Yersinia enterocolitica are responsible for a wide spectrum of clinical manifestations worldwide. Aeromonas are a type of gram-negative, facultative anaerobe bacteria that normally express a polar flagellum. They are divided into two groups: Aeromonas salmonicida (which infect reptiles and fish and are non-motile), and mesophilic Aeromonas (Responsible for human infections), both belong to the Aeromonadaceae family. Also, there are nine known Aeromonas strains related to human disease, the most important being: Aeromonas hydrophila, Aeromonas caviae and Aeromonas veronii. Whilst Yersinia has three well known human and animal pathogens: Yersinia enterocolitica, pestis and pseudotuberculosis. There are six biotypes of Y. enterocolitica; five of which are considered pathogenic in humans (biotypes 1B, 2, 3, 4 and 5).  In addition, there are 60-70 serotypes, among which O:3, O:9, O:8, O:5,27 are mainly associated with human disease. Yersinia enterocolitica is a foodborne pathogen and its clinical manifestations typically include nausea, vomiting, abdominal pain, diarrhea and fever. This infectious disease, also called yersiniosis, can range from a self-limiting gastroenteritis to a potentially fatal septicaemia. While Aeromonas produced gastroenteritis courses through three different types of diarrhea; watery, containing blood and mucus or chronic diarrhea. Either of three ways could lead to meningitis or septicaemia. But this isn’t the only disease related to Aeromonas, as they can also penetrate through wounds (being a less common type of infection), causing cellulitis, myonecrosis, ulcers among other symptoms. Aeromonas can be encountered among fish, some invertebrate animals (such as medicinal leeches) and both in fresh and salt water, making them its main pathways of transmission and regarding Yersinia enterocolitica, there is strong evidence that food of animal origin (especially pork and dairy products) is responsible for human infections. Furthermore, Real-Time PCR has proven to be a sensitive way of diagnosing both Aeromonas and Yersinia enterocolitica. This is achieved through the identification of the gryB gen for Aeromonas, and the ail (attachment-invasion locus) gene, present uniquely in virulent strains of Y. enterocolitica.